The game sees players exploring a haunted mansion on a quest to collect candy. 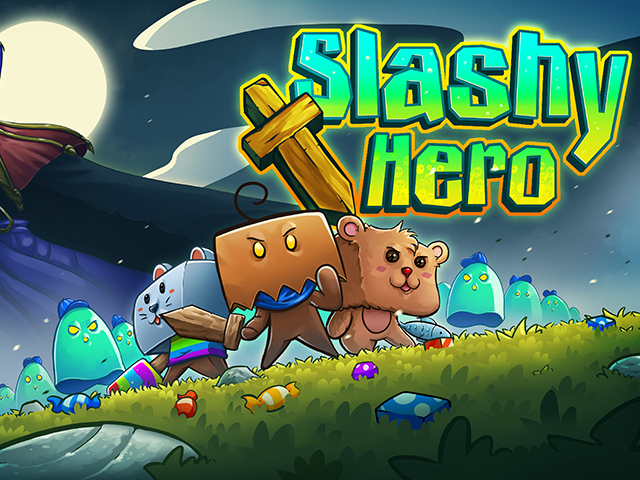 Mobile games publisher Kongregate has announced the release of Slashy Hero on iOS and Android devices. Developed by The Gentlebros, the dungeon crawler sees players exploring a haunted mansion to collect candy while defeating monsters. In each game of Slashy Hero, players draw lines on the floor to direct their hero’s movement. If the line crosses an enemy, the hero attacks automatically. Players will face off against multiple kinds of monsters, including boss monsters, as they progress, and can lure some monsters into spikes (where available) to damage them. Rooms contain candy, and players can collect extra candy from defeated enemies. This candy can be spent on upgrades for the hero’s health, attack damage and speed in between games. Players will also find new outfit items and weapons as they progress, with items being dropped by monsters, and also available as prizes inside treasure chests in the world. Each weapon or outfit item offers a boost to one of the hero’s three stats, and when players collect duplicate objects, this boost increases. Slashy Hero offers 48 levels to explore, and includes checkpoint levels along the way. While players can begin at the first level each time they start a new game, they can also skip to their last reached checkpoint level and continue from there. In addition to this level-based mode, an endless mode challenges players to defeat as many waves of monsters as possible to earn points. Players can compare their scores on global leaderboards. We’re very excited to be working with The Gentlebros on Slashy Hero. The team has created a game with charming visuals and easy to learn controls that truly captures the spirit of Halloween. It’s a spooktacular experience that everyone can enjoy. Slashy Hero is available to download for free on the iTunes App Store and Google Play. While the game is free-to-play, users can spend real money on premium crystals, which can be used to revive the hero at the game over screen. Players can also receive a free revival in each game by watching a video ad.